Help Amber run the family jewelry business in this simulation game. Is there a better alternative to Sparkling Amber? Is Sparkling Amber really the best app in Simulation category? Will Sparkling Amber work good on macOS 10.13.4? In Sparkling Amber, Amber takes care of the family jewelry business. She gets an important mission from the King's court to craft marvelous jewels for the future. As Amber, you will seat customers and help them try different jewels. Sparkling Amber needs a review. Be the first to review this app and get the discussion started! Sparkling Amber needs a rating. Be the first to rate this app and get the discussion started! Meet different customers with eccentric personalities! Along the way you'll be able to use the money you've earned to upgrade the jewelry store with larger showcases, better furniture, speedy shoes, everything that makes you customers happier. 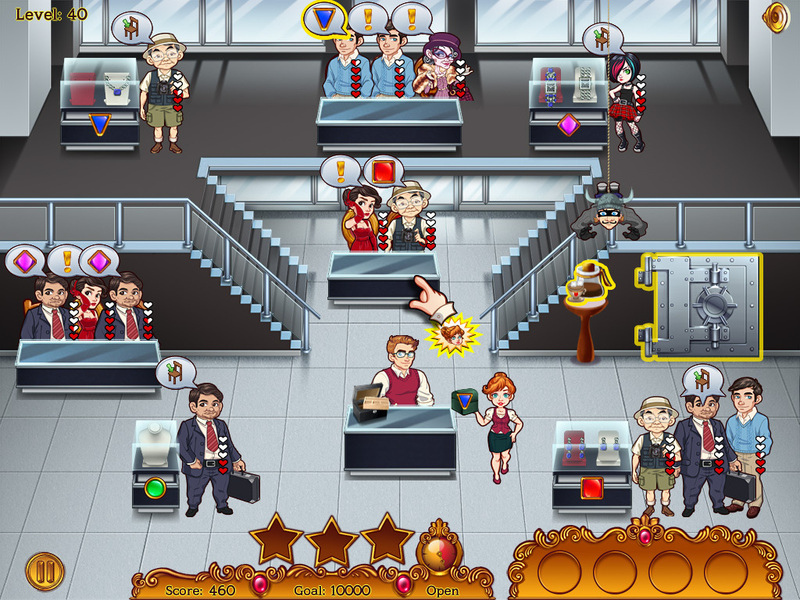 Watch out for shoplifters and use your hard earned stars to craft beautiful jewels for the royalty! Do you have what it takes to keep customers and the crown happy or will you be the weak link in the family tradition of jewelers?